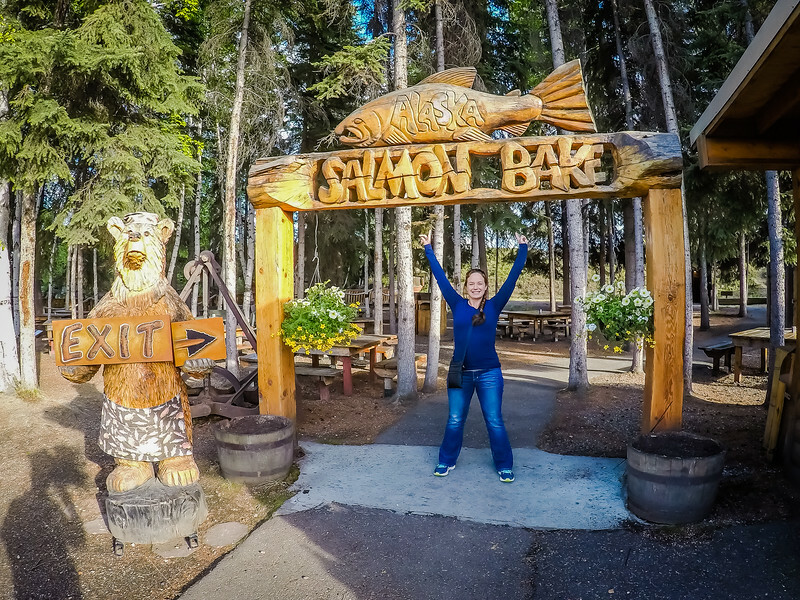 When we first started planning our trip to Alaska, we had no idea what the best things to do in Fairbanks would be and didn’t really have a plan for our visit. World renowned as a place for intimate Northern Lights viewing experiences, the timing of our visit would unfortunately fall when it literally never gets dark. Not one to hide my feelings, I was at first crushed about this. Seeing the Northern Lights in Alaska has always been on my list but it would have to wait for another time. Ironically enough, taking this main attraction in Fairbanks away from our itinerary left me determined to show people that this city is more than a winter visit for Northern Lights Viewing. Taking a giant sternwheeler down the Chena River to learn about the history of the area and how Fairbanks was settled was something we knew we wanted to do. I’ll admit openly that when we arrived at the building to check-in we were immediately apprehensive of our decision after seeing a parking lot full of cruise ship tour buses. Despite this, the experience was fantastic. The boat is big enough that you never feel crowded and are able to move freely between decks to view your surroundings. 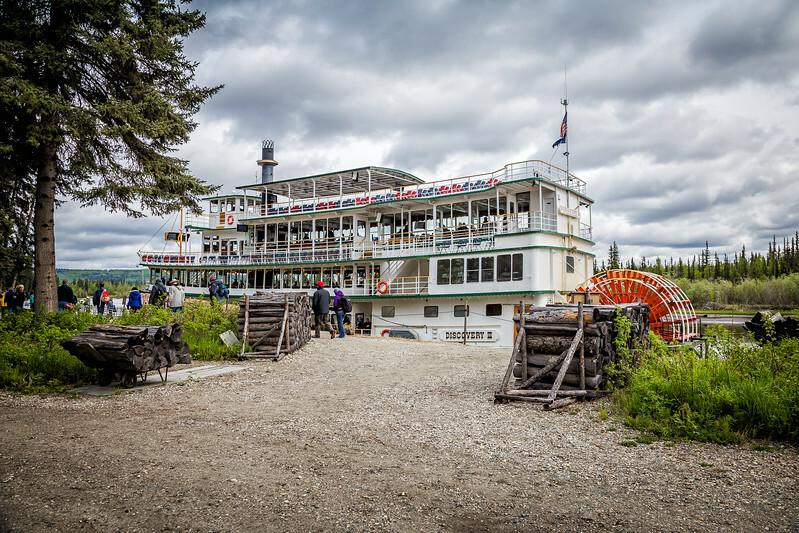 They run a great program talking about the history of the steamboat, the people that founded Fairbanks and make stops along the way to learn iconic stories from the people that live their lives in this extreme part of the World. 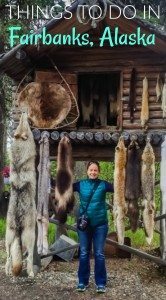 This included a stop to observe a dog sledding demonstration and you even get the opportunity to disembark in a simulated Athabascan village to learn about how the first people to the area lived and moved with the wildlife. The whole experience was fun, informational and of course scenic, this is Alaska after all. Hands down one of the best things to do in Fairbanks. 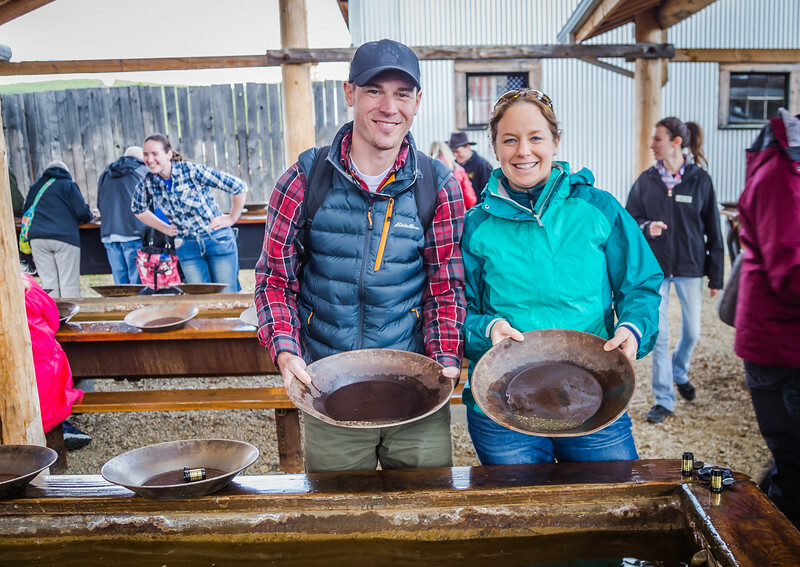 You simply cannot visit Alaska without trying your hand at some gold panning. 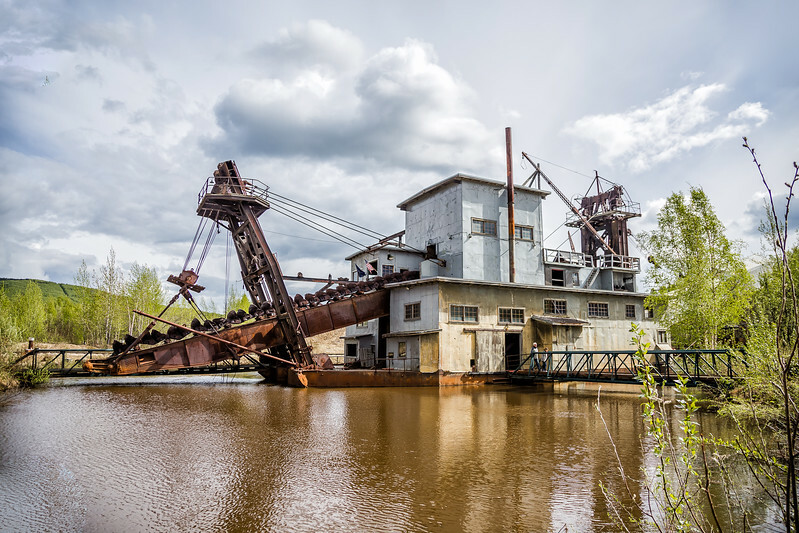 We found the Gold Dredge 8 experience to be a step back in time. You board a scenic train at the entrance that takes you through the area of one of Alaska’s richest gold resources. You learn about the progression of the gold industry in this area from when the first person struck it big to the many that followed, ending with the acquisition of a large company that brought dredges to the area that resulted in millions of dollars of additional gold being extracted from the earth. Eventually you reach the actual Gold Dredge 8 where you get the chance to try your hand at gold panning. Seriously, it’s one of the most exciting things to do in Fairbanks and every person finds some gold in their pan. I even had mine made into a necklace as a keepsake. We are not usually one’s to spend hours of our day in museums, but if we learn about a museum that is iconic to an area or interests us personally, we’ll go for it. This was exactly the case for the Museum of the North and this is one of the most educational things to do in Fairbanks during your visit. 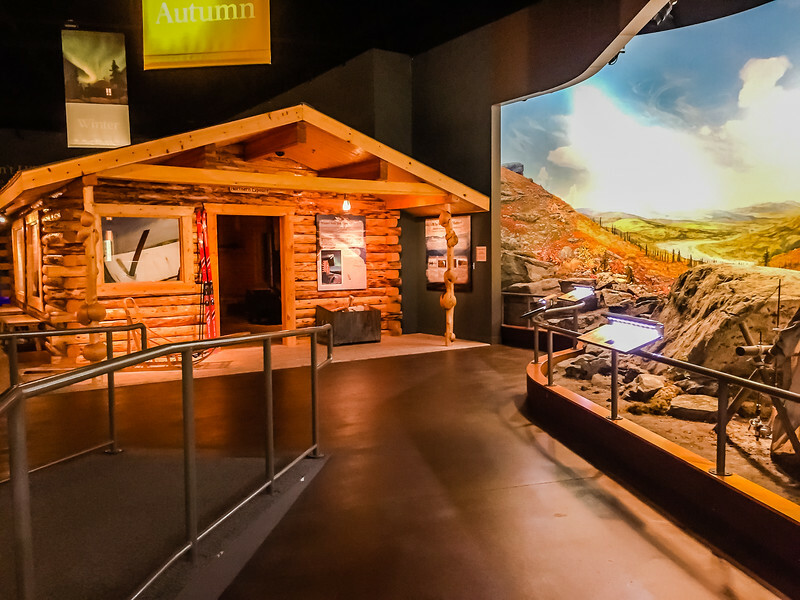 This well thought out museum encompasses the history, people, wildlife and all that makes North Alaska a special place. While you’ll find your typical museum displays in every room, I loved the cutouts of people that were scattered through the museum. These cutouts were photos of real people that had journeyed to North Alaska for a variety of reasons and each cutout told their story. It gave me a personal connection to Fairbanks that I wouldn’t have gotten if I hadn’t visited this museum. The stories of struggle, wonder, gain and loss were dramatic and addicting to consume, I read every single cutout on display. The very first thing you should do when you arrive in Fairbanks is head to the Visitors Center. More than just your average, run of the mill pamphlet center, the Fairbanks Visitors Center has an entire introduction to North Alaska built into it. The displays are interactive ranging from the native people, gold history, wildlife and lifestyle of the entire area. It’s a small museum but worth your time to set the stage for your visit. The museum is put together with great quality and flows well. The first time we drove by Pioneer Park we thought it was an amusement park. The grounds are quite expansive and it’s not something you would miss driving into Fairbanks. What we didn’t know, is that Pioneer Park is a tribute to the history of Fairbanks. The park is setup as a replica of what Fairbanks looked like in the gold rush days. 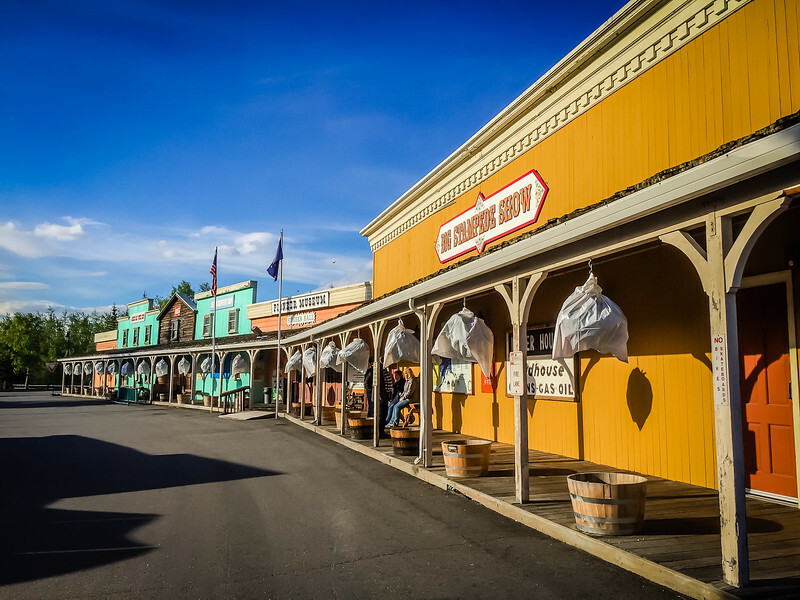 During the day you can wander the main street, shopping in the storefronts and in the evening you can attend the Golden Heart Revue at the Palace Theater. 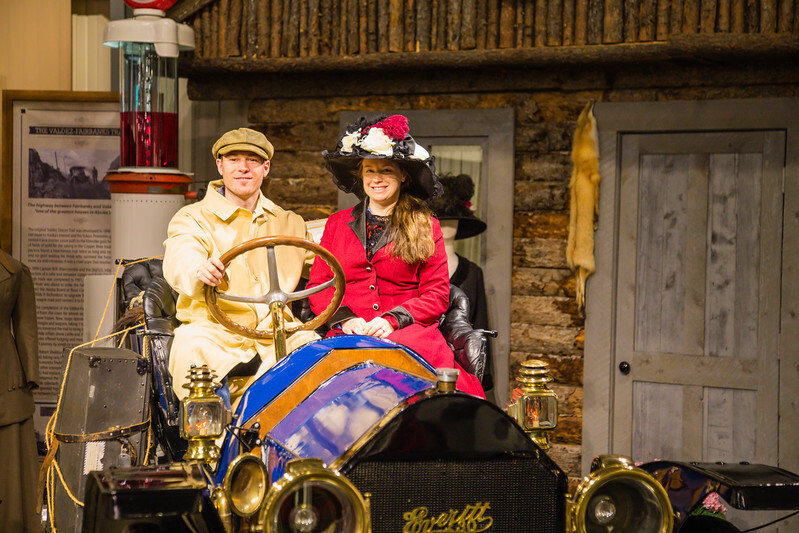 This musical comedy has been named the number one show in Alaska and Canada. We loved the layout of the park and the emphasis on history of the area. The Golden Heart Revue was hilarious, with the whole experience feeling like a step back in time to the gold rush era. They even had luggage placed on the stage that said Duluth, Minnesota on it, pretty cool since we’re from that area. You know something is going to be good when even the locals rave it. Yes, tourists come to this salmon bake but so do the residents of the area. Served buffet style with various stations that represent your sides, meats, drinks, condiments and deserts, be sure to go hungry. The Salmon bake is set inside Pioneer Park with the food being served both outside among the trees and inside of old, cabin buildings. The food was fantastic, with the sides representing traditional Alaskan cookout food including baked beans, potatoes and an array of vegetables. If you’re looking for a hearty meal, don’t miss this. Located 56 miles northeast of Fairbanks is the Chena Hot Springs Resort. The drive takes you through the beautiful Chena Recreation Area with lots of camping and hiking options. 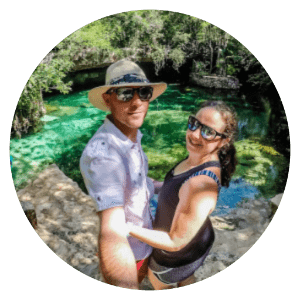 We personally stopped enroute to the resort to hike the Angel Rocks trail, which is beautiful and highly recommended by us. The resort itself is built on the site where gold miners found a natural hot springs. Today, the resort has created pools for your enjoyment and offers a full activity adventure lodge for people looking to escape the city. 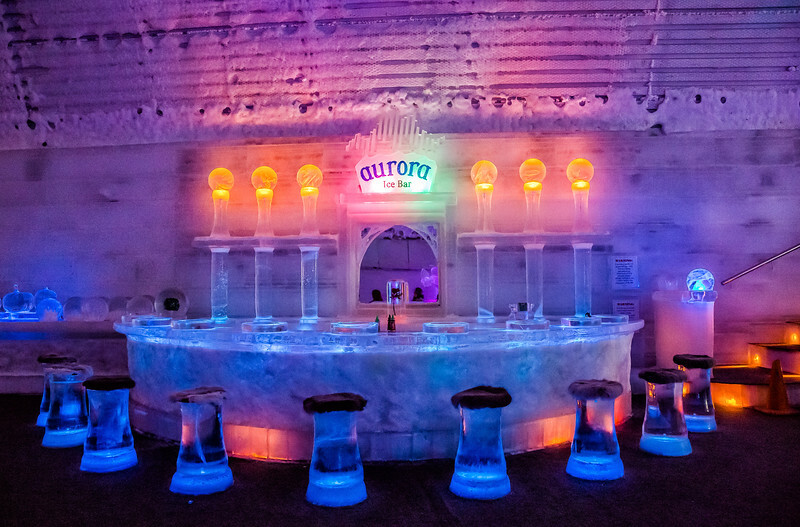 During the summer, guests can stay in the resort lodge and experience activities like ATV riding, horseback riding, hiking, dog pulling, soaking in the hot springs and a visit to the Aurora Ice Museum on site. In the winter, the main draw to the resort is a soak in the hot springs, dog sledding and amazing Northern Lights viewing. For the adventurous, journey into one of the most remote parts of the world from Fairbanks. 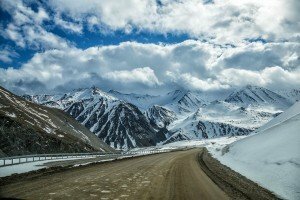 Trips to the Arctic circle can be had from Fairbanks to include driving the Dalton Highway, flying above the circle or a combination of both. You can even opt to travel by road all the way to the Arctic Ocean. We took the land/air overnight combo with a stay in Coldfoot, the northernmost truck stop in the USA. We left Fairbanks by land, stopping at the Yukon River and the Arctic Circle enroute to Coldfoot. The journey with multiple other photo stops, took all day. Once arriving in Coldfoot, we overnighted in shipping containers turned hotel that had been left behind by the Alaska pipeline project. Additional day trips are offered for you to explore more of the Arctic and the Brooks Mountain Range that skirts the Gates of the Arctic National Park, the least visited National Park in the USA. We opted to visit Anaktuvuk Pass in the Brooks Range before flying back to Fairbanks. Next time, we’ll take the land tour all the way to Prudhoe Bay. If you love adventure, visiting the Arctic is a top thing to do in Fairbanks, hands down. 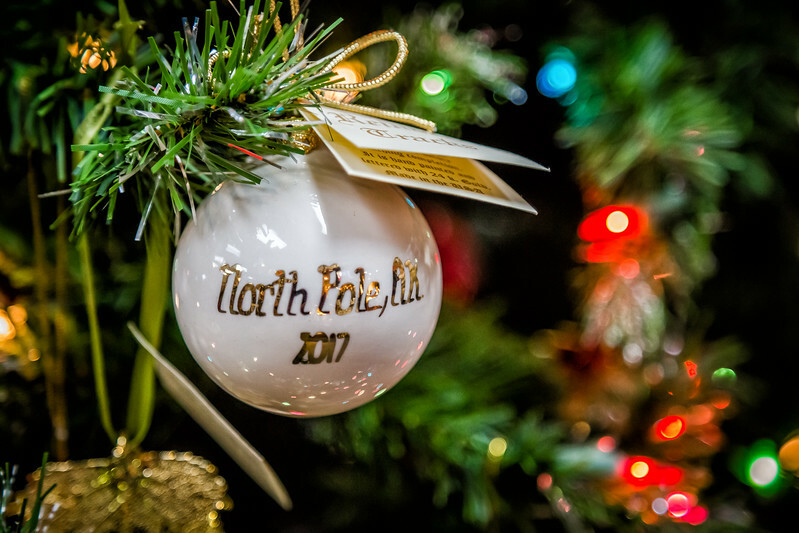 North Pole – If you love Christmas, then this town is for you. Minutes from downtown Fairbanks, you can visit Santa’s workshop that stays open year round. Santa’s House offers beautiful handcrafted Christmas goods and a jolly staff to keep you in the spirit all year long. Next-door is the reindeer house where you can visit Santa’s team. If you visit during the winter, I can see this place being pure magic. Hoodoo Tasting House – Alaskan brewing at it’s finest, we highly recommend taking the time to hit this tasting house and mingle with the locals. Hot tip, order a flight of beer and sample all the great flavors. They even have one that tastes like a campfire. 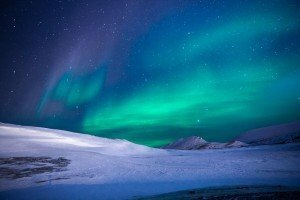 View the Northern Lights – Fairbanks boasts world class Northern Lights viewing with a wide variety of options, tours and trips to get you optimum viewing opportunities. However, you’ll only see the lights in the winter. In the summer, Fairbanks sees long daylight hours and experiences the Midnight Sun. Auto Museum – this museum is simply incredible. A private collection, you can find a representative of every single car era since the automobile was invented. The real charm comes from the early models and the era clothing on display with each car. The museum is pristine and well worth a visit. Tanana Valley Farmers Market – a great place to hang out with the locals, you can purchase handicrafts and homemade jams. You’ll also find pickled goods and a variety of food stalls. It’s open Wednesday, Saturday and Sunday during the summer months. Wedgewood Resort – we based ourselves here for our stay in Fairbanks. The property reminded us of an apartment complex that had been converted into a hotel. Our room was huge with a giant living room, sliding glass doors to a private balcony, bathroom, kitchen and actual bedroom. 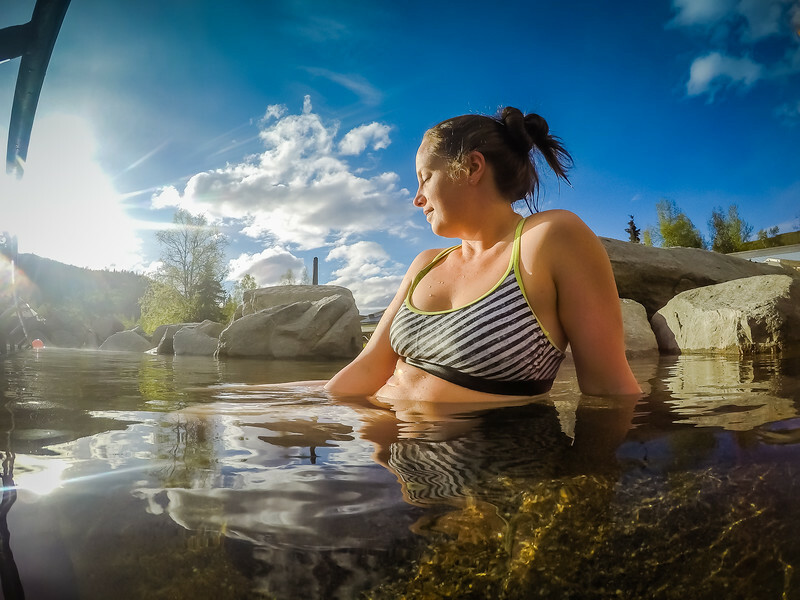 Chena Hot Springs Resort – if you’re planning to visit the Chena Hot Springs, we recommend planning at least an overnight at the resort. Take in some of the activities on offer and do some hiking in the area. The lodge is pretty new and very comfortable. There is one restaurant on site that has been built in the original lodge with great Alaska relics on the wall. They also have a café and coffee shop. By Plane – Alaska Airlines services Fairbanks from all cities in Alaska and the flight from Anchorage takes 1 hour. It is the fastest way to reach Fairbanks and is often cheaper than taking the train, although you’ll forego the awesome scenery along the way. By Car – this option takes 2.5 hours from Denali Park and 6.5 hours from Anchorage. Having your own car gives you the freedom to stop as much as you want along the way. This is how we got to Fairbanks. We rented a car when we arrived in Anchorage and drove. The views are incredible. By Train – this is the longest and most expensive option but offers great scenery and a no worries approach to travel. The Anchorage – Fairbanks route takes 12 hours and the Denali Park – Fairbanks route takes 4 hours. By Bus – From Denali Park, the bus takes 3 hours and is far less expensive than the train. It gives you the option to relax without having to do the driving. Most buses arrive into Fairbanks in the late afternoon and early evening. 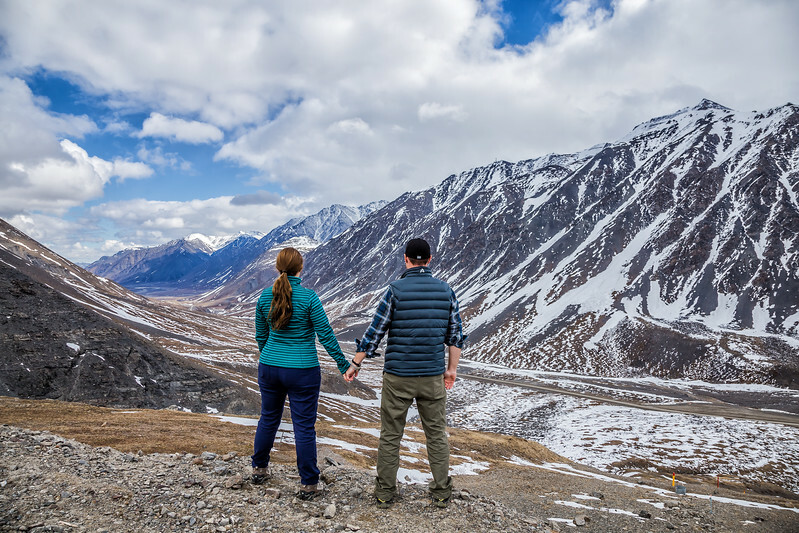 By Tour – a big majority of tourism to Alaska is with cruise companies and many of them offer ground options to extend your trip to places like Denali National Park and Fairbanks. This typically includes some combination of bus and train transport. Outside of the cruise companies, there are several companies running land based tours in Alaska that include visits to Fairbanks and the surrounding area. 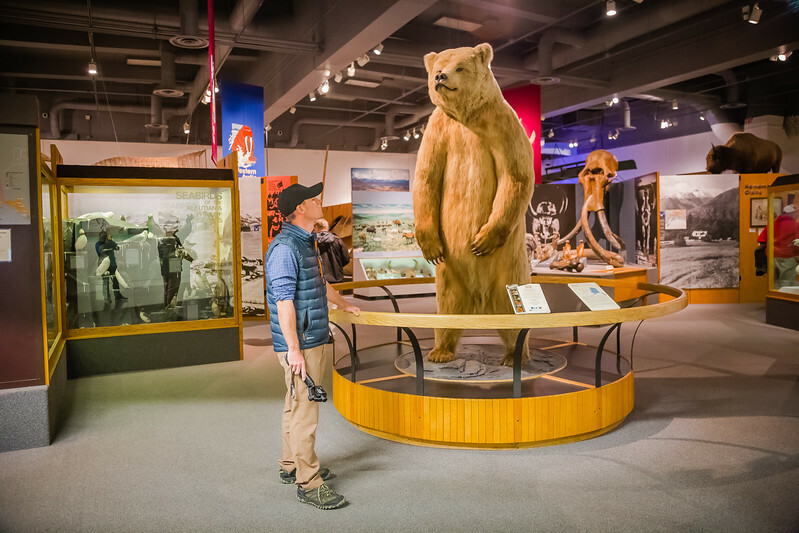 Fairbanks does a fantastic job of connecting the dots on a true Alaska experience. It is ripe with history and offers so many activities that play on that. It is both a learning experience and great entertainment. The city has all the amenities you could ever need but 30 minutes drive in any direction and you are in remote Alaska. You’ll also meet a different type of Alaskan in these parts, the hardy ones that endure the brutal winters that come through the area. In that, they have their very own culture and love sitting down for a cold one to talk about it. We adored our visit and will not hesitate to return in the winter to view the Northern Lights. Is Spring the Best Time to Cruise Alaska? Our visit to Fairbanks, Alaska was in partnership with Explore Fairbanks. All opinions are 100% mine, as always. Cant visit Fairbanks without heading out to Fox where the pipeline is visible. Hit the brewery while your are out there! Beauty of Chena River is still subjective but i must see it one day! Thank you! Alaska makes a great subject!